The Volkswagen owned sedan, Skoda Rapid’s windows are electrically controlled by a lever/switch present near the driver, better known as power windows. This automation feature adds to the comfort factor of the interior, for the air cooled air during summers or warm air during winters will not be able to get out of the windows. This feature thus, helps in maintaining a serene ambience inside the cabin. Also, the feature comes along with the anti pinch mechanism, which halts the rolling up/down of the windows should they face any obstruction. This feature is particularly handy when the windows needed to be closed in an instant, say when faced with a sudden burst of rain or dust storm. Skoda Rapid finds itself staring at some of the premium sedans in the automobile market as its competitors – Hyundai Elantra, Hyundai 4S Fluidic Verna, Volkswagen Vento, Fiat Linea, Ford Fiesta, Honda City, and Maruti Suzuki Ciaz. The reviewed vehicle pares itself well with its competitors in terms of possessing the power windows function. 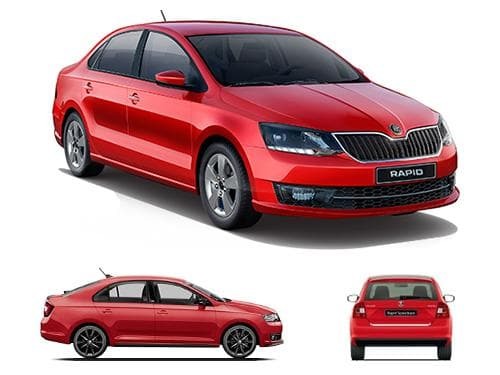 The variants of Skoda Rapid that offer power windows as standard include 1.5 TDI AT Edition X, 1.5 TDI CR Active, 1.5 TDI CR Ambition, 1.5 TDI CR Ambition AT, 1.5 TDI CR Style, 1.5 TDI CR Style AT, 1.5 TDI MT Edition X, 1.6 MPI AT Edition X, 1.6 MPI Active, 1.6 MPI Ambition, 1.6 MPI Ambition AT, 1.6 MPI MT Edition X, 1.6 MPI Style, 1.6 MPI Style AT, Monte Carlo Edition AT Diesel, Monte Carlo Edition AT Petrol, Monte Carlo Edition MT Diesel, Monte Carlo Edition MT Petrol, Onyx AT Diesel, Onyx AT Petrol, Onyx MT Diesel, Onyx MT Petrol.